On behalf of our congregation, welcome to our church! We are an insightful and open-minded group brought together by our ongoing search for a spiritual home — a home that encourages religious questioning, nourishes individual pathways, and provides a respite from life's daily demands. 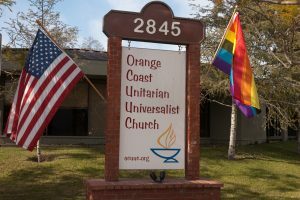 We invite you to attend our services, make connections, and participate in any of our programs and activities. We are located at 2845 Mesa Verde Drive East in Costa Mesa. The campus is at the corner of Adams Ave. and Mesa Verde Dr. East, sharing driveways with visible businesses such as Torelli Realty, Costa Mesa Chamber of Commerce, and Piecemakers Country Store. Look for the buildings in the rear corner, labeled 2845. 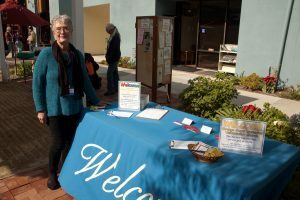 Located on our patio is the Welcome Table where you will be greeted warmly by a member of our community. 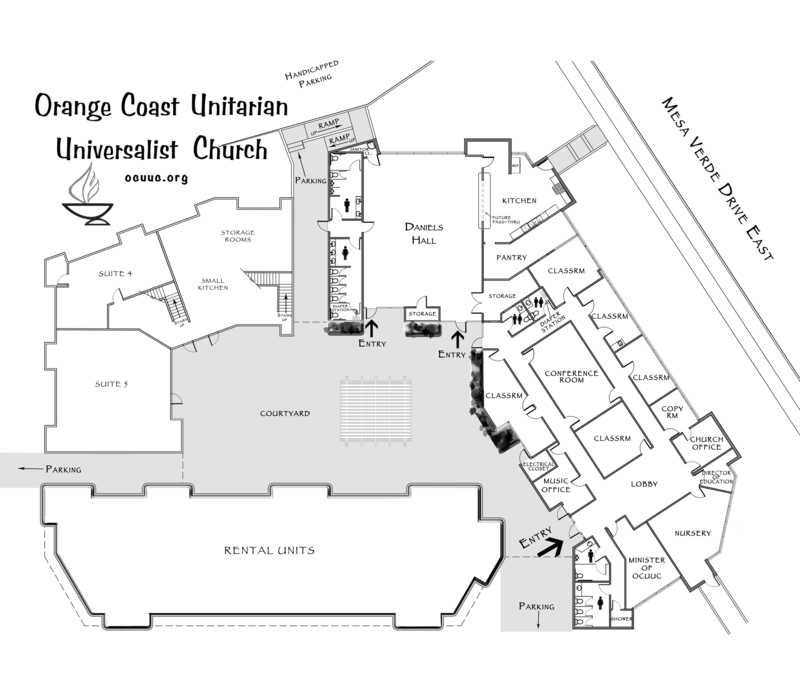 There you will be able to fill out a Guest Information form, make a name tag, and pick up information about our congregation and Unitarian Universalism. Pick up an Order of Service with readings, announcements, and an upcoming calendar. Sit where you are most comfortable. Our services last about an hour and include opening words, visitor welcome, music, an offering, and a sermon. We offer one service on Sunday, at 10:30 am. After the service, there is an opportunity to gather in the courtyard and patios for coffee and conversation. Visitors are always welcome to join us, and we look forward to getting to know you. 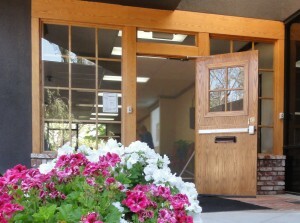 Church office hours are Monday–Thursday, 10 am–2 pm; Sundays 10 am–1 pm. Please feel free to email or leave a message at (714) 556-2882 if the office is closed.